I have decided to make Cold Soba using Lee Kum Kee's Sauce for Sweet and Vinegar Spare Ribs. This is a meatless dish. You may add shredded chicken breast or lean pork if you want. Increasing the portion of the vegetables will change it to a more salad. 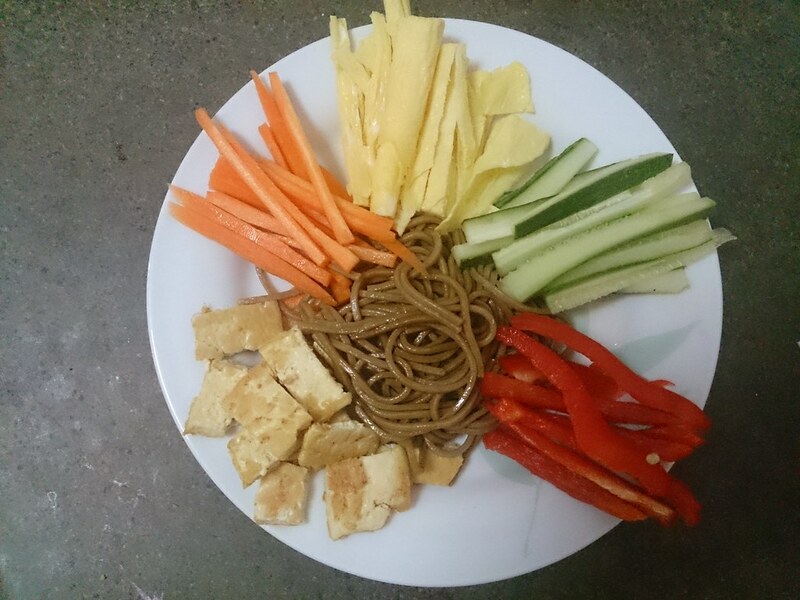 Fairly simple, you only need to pan fried an egg, a dou gua and cook the soba. Dou gua turns bad easily once it is open. What my mum does is that she will pan fry the entire Dou gua and store it in the fridge to prolong its shelf life. 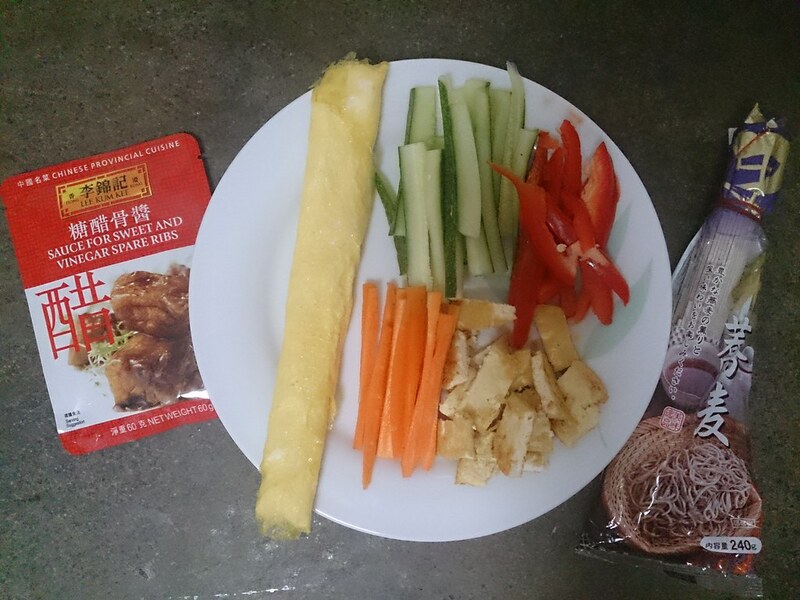 Thereafter, it can be used as toppings for our noodles or as an ingredient for other dishes. First, I sliced the cucumber, carrot and red capsicum. You may choose the type of vegetables you want. I would normally use cucumber and carrot for the extra crunch. I have ever used kidney beans, straw mushrooms for the colours and texture. 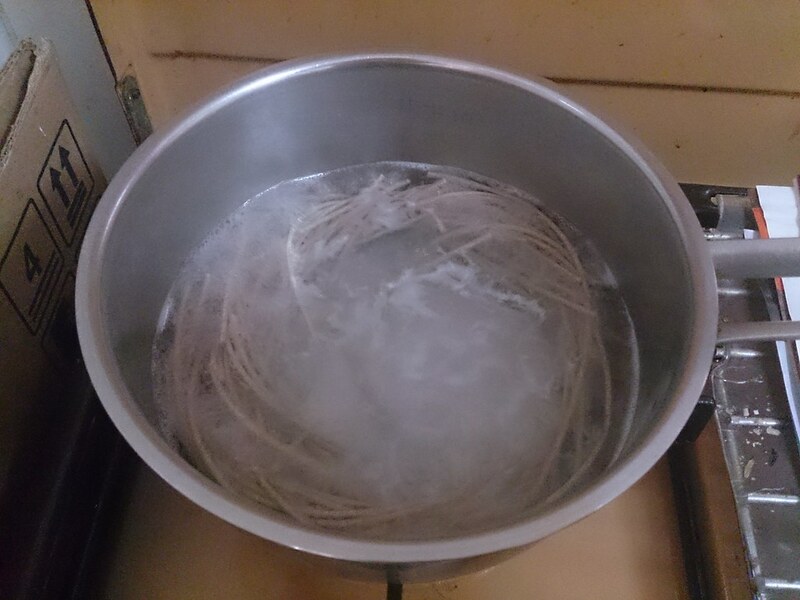 After which, I put the soba to boil. When boiling, I pan fried the egg. I rolled the egg to get a springy texture. Since the sauce is on the sweeter side, I added a pinch of salt into the egg. If the sauce for the soba is a savoury one, such as seaweed sauce which i have used before, I would make tamago instead. I'm not sure about the standard recipe, but I make mine by adding a tablespoon of milk and a pinch of sugar. 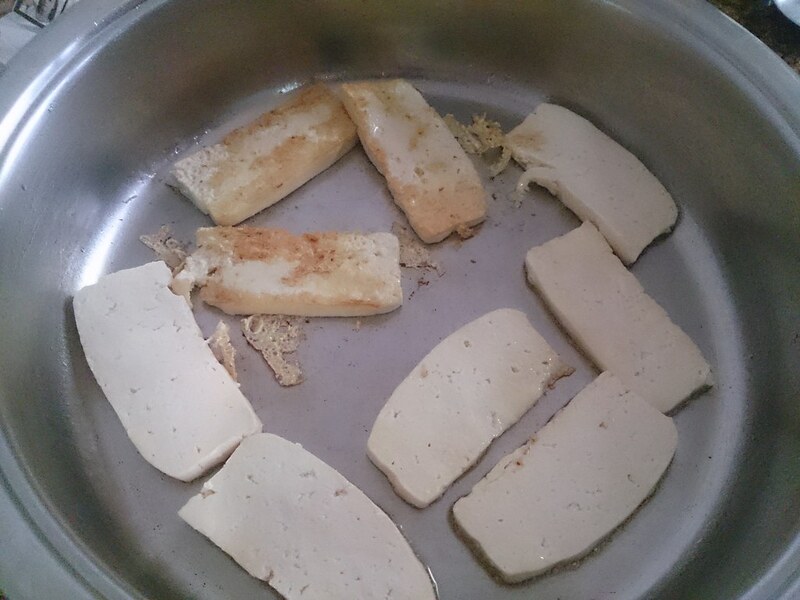 To speed things up, I pan fried the dou gua using another sauce pan, which had been soaked in salt water before hand. My mum taught me that this will prevent the dou gua from crumbling, and at the same time, to give it a bit of flavour. After my soba was done, I scooped it directly into a bowl with a table spoon of Lee Kum Kee's Sauce for Sweet and Vinegar Spare Ribs. 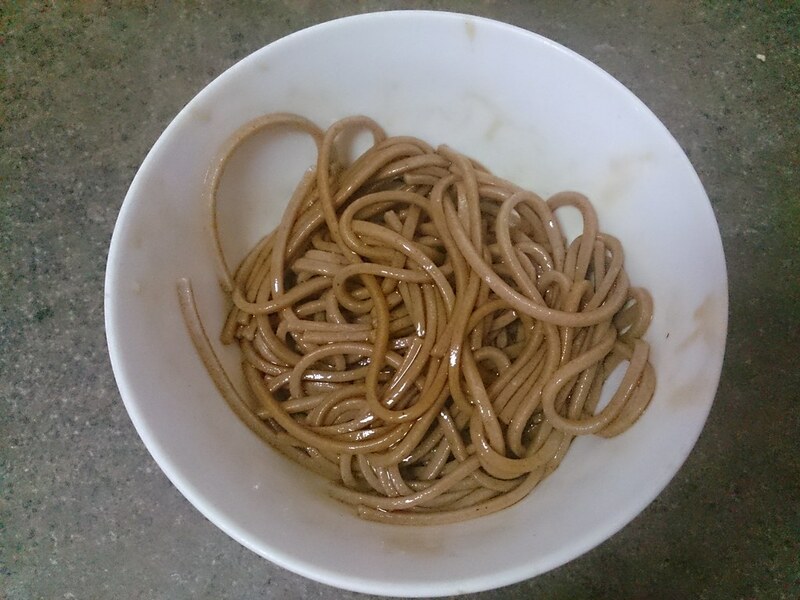 I stirred to mix the soba evenly with the sauce and then put it in the fridge to cool it. 3) Boil for 5 minutes. As different brands of noodles may have different cooking time, you may want to check the texture after 4 minutes. 4) Put 1 tablespoon of Lee Kum Kee's Sauce for Sweet and Vinegar Spare Ribs into a bowl. Once the noodles is done, scoop it into the bowl and stir it well. 5) Chill the noodles ih the fridge for 10 minutes. 6) Beat the egg. Grease your cooking pan. Once hot, pour in the beaten egg. Form a thin layer on the base. Once the sides have firmed up, it is ready to be roll. 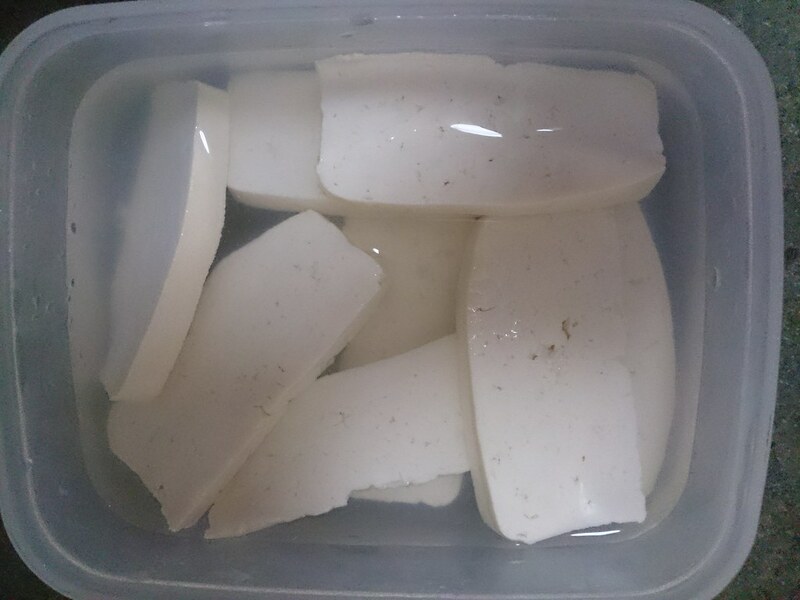 7) Pat dry the dou gua. Grease your cooking pan. Once hot, place the dou guan flat on the base. Turn it once the side underneath and edge start to brown. 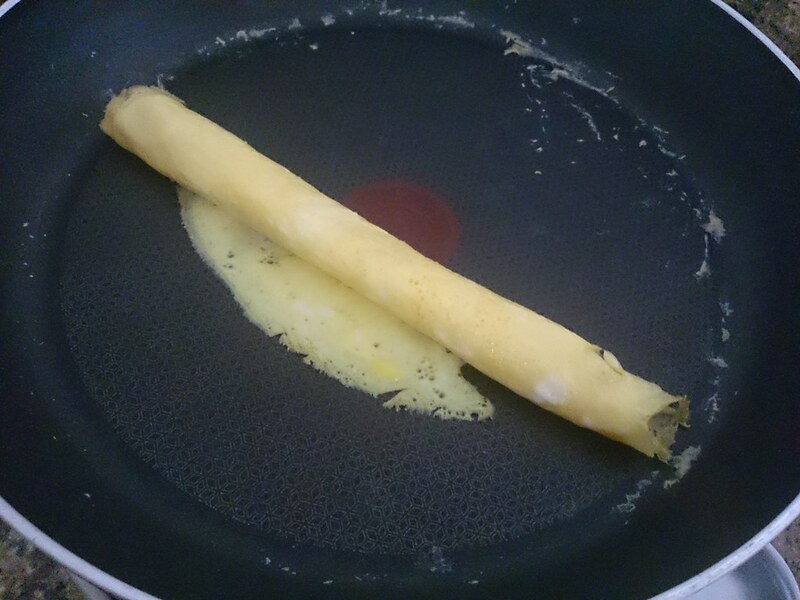 8) After panfried till crispy, dice it. 9) Slice up all carrot, cucumber and capsicum. I feel cucumber is a must, for the refreshing taste. You may also use other ingredients such as kidney beans, beansprouts, cabbage etc. 10) Once all ingredients are ready, simply mix them together. Creating salad style dishes at times allows me to use up the remnants in my fridge. It’s really all up to you how you want to make use of the ingredients which you have on hand, without having to purchase excess. This shall sum up my cooking session last weekend. Hope my dishes ain't too plain for you guys..!